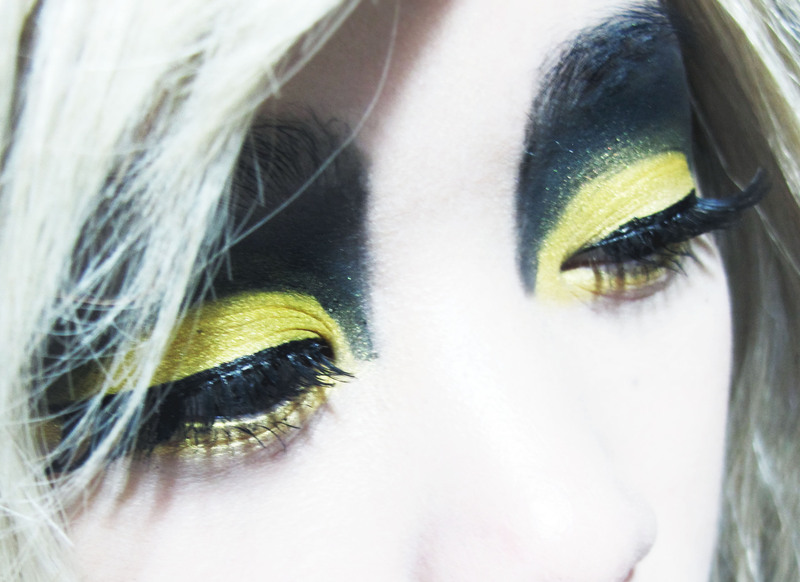 Black & Yellow Contrast crease cut makeup tutorial! How are we all doing!? Hope all is well ❤ Last night I decided to attempt to do a crease cut look for the very first time. Lately I’ve been really loving bright colours with a bit of contrast over soft looks. I think this look was a little harder than usual. I have asian eyes and there’s a lot of looks that need to be adjusted since I have an EXTREMELY FLAT facial features + a really small round bubbly face. 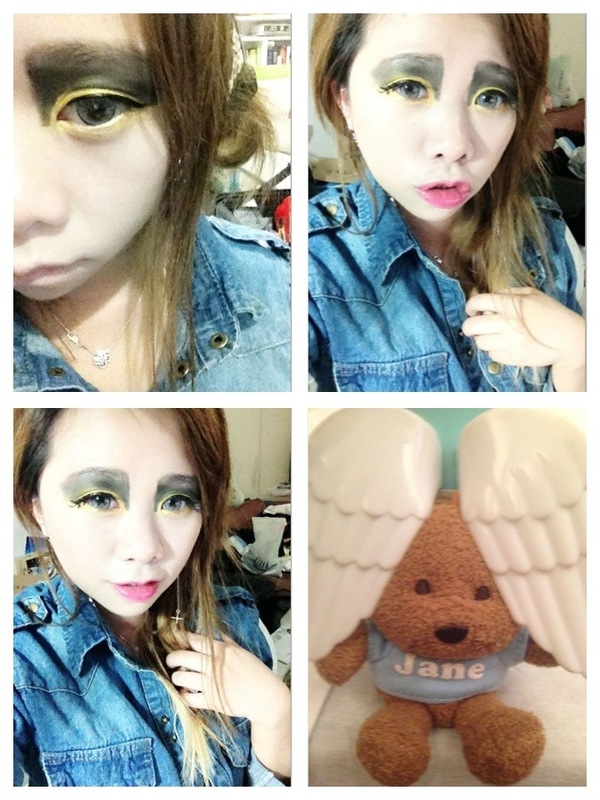 Here’s the close up shot of the eyelids. 1. Starting off with a clean face, moisturise, prime and equate out imperfections with some color correcting. 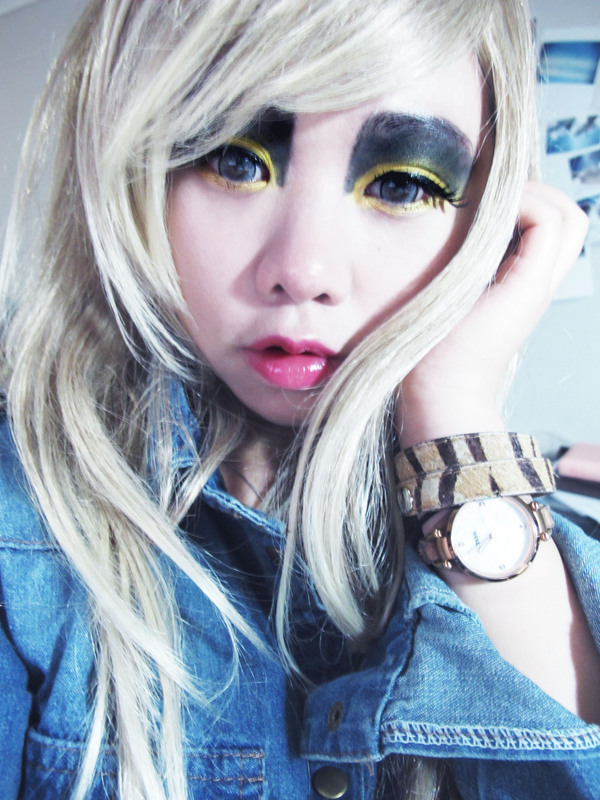 Apply your concealer and fav foundation! 4. 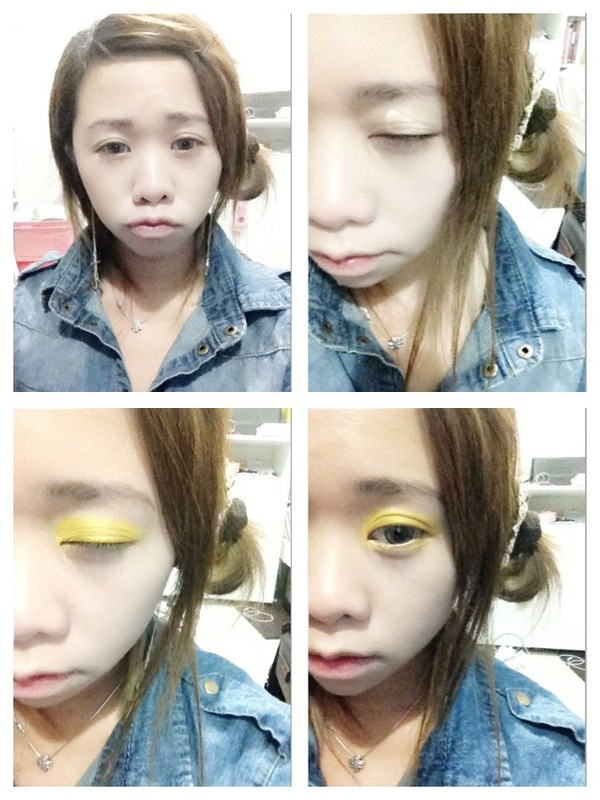 Pat that yellow on your waterline and under-eye area too! 5. Now take either a black pencil liner or a gel liner and mark out where your crease is. Create an elongated outer V so when you line your eyes it will connect into a lovely cat flick. 6. After marking it out, take a black shadow and build up the intensity of the black all the way up to the brows for that Egyptian kinda look. You may choose to do less and have the black fade out into the browbone for a more wearable look! 7. Fill in your brows and line your eyes! Top off the eyeliner with a liquid liner for a more defined line. 8. 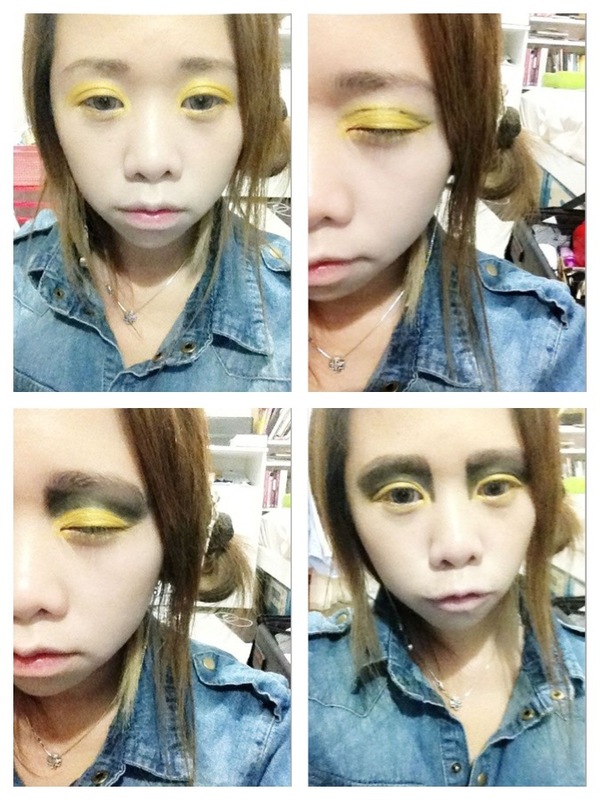 Contour your face, apply falsies! 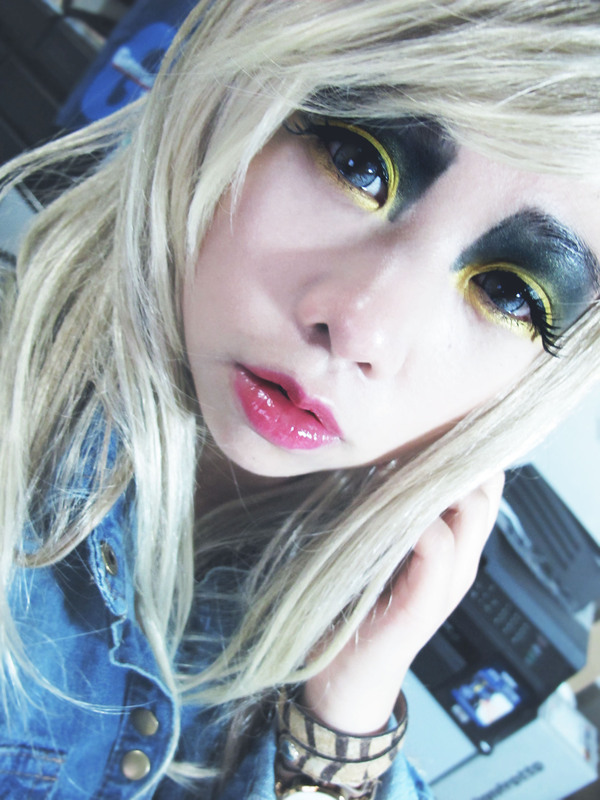 Here’s the completed look while wearing my fav blonde wig xD!